As many as 50 million people in the United States suffer from nasal allergies, causing chronic sinus problems, and this number is on the rise. 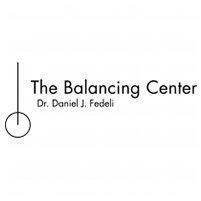 To combat the systemic effects that allergies can have, Daniel Fedeli, DC, PC, and his team at The Balancing Center offer innovative treatments that work with your body to boost your immune system, helping curb allergic reactions and sinus problems. If you’re in the Gold Coast neighborhood of Chicago, call or book an appointment online to learn more. Your body does a fantastic job taking care of itself, protecting you against diseases, viruses, and infections. At the core of this protection is your immune system, which responds to threats with antibodies that work to drive the threat out and protect you from harm. And this system works well -- until it doesn’t. With allergies, your immune system goes a little haywire and overreacts to foreign substances that aren’t harmful, turning them into allergens and your response into an allergic reaction. These responses range from minor nuisances to life-threatening reactions that begin to shut your body down, which is known as anaphylactic shock. Many of the airborne allergens, such as pollen and pet dander, trigger reactions that can wreak havoc on your sinuses, leading to chronic blockages. How are allergies and sinus problems treated? If you suffer from allergies, the doctors at The Balancing Center concentrate on treatments that boost your immune system and increase the natural flow in your body. By restoring balance and flow to your body’s systems, your doctor is able to eliminate blockages and interferences that disrupt your body’s ability to react appropriately. Ultimately, the goal is to get your body to stop overreacting to allergens by allowing it to clear out interferences that are creating the mixed signals in the first place. These treatments work well for both allergies and chronic sinus problems. Your sinuses benefit because of better flow in your body that prevents buildup and swelling in these cavities. To get relief from allergies and sinus issues, call The Balancing Center, or use the online scheduler to book a consultation.